New to DVD -- a classic Patrick Troughton adventure unseen in the UK for 45 years! The first UNIT story has been marvelously restored and remastered and brought back to life for you to own on DVD. The TARDIS narrowly avoids becoming engulfed in a cobwebby substance in space. 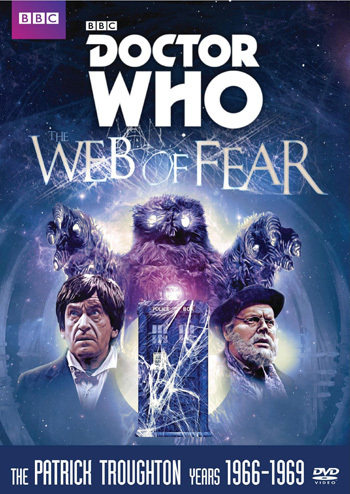 It arrives in the London Underground railway system, the tunnels of which are being overrun by the web and by the Great Intelligence's robot Yeti. The Intelligence's goal is to drain the Doctor's mind... can the Doctor sabotage the device before the Intelligence's plan comes to fruition?